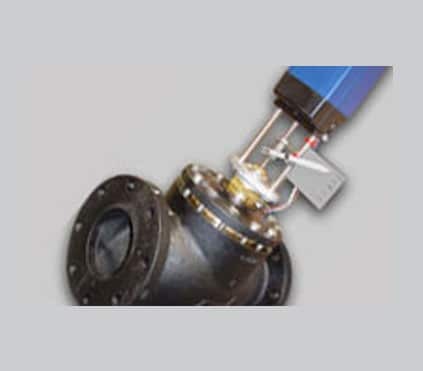 The ESV is designed to operate two modulating motorized valves to maintain a set point. It can connect to steam, vacuum, or temperature sensors. It offers two modes of operation, either parallel modulation where both motorized valves wil act as one. Or First-Open-first-Close (FOFC). The FOFC logic is designed to out perform the One-Third/Two-Thirds concept. As the One-Third/Two-Thirds (1/3 – 2/3) is made to utilize the actuators mechanical end-switches to achieve smoother modulation, the FOFC logic gives far better control by allowing different size actuator applications to use the larger actuator to increase the load and the smaler actuator to fine tune its operation. 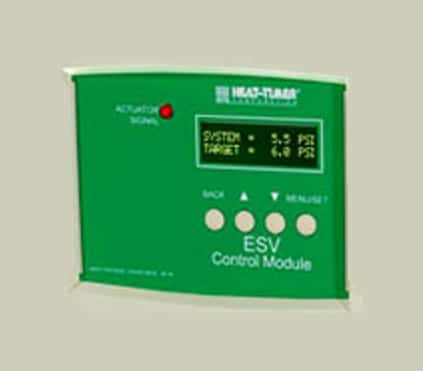 Using Valve Start Position, Valve Start Delay, and Valve Close Position settings for each of the actuators makes the ESV satisfy every steam and vacuum application’s unique need. These settings are designed to hold the valve partially opened when steam is not needed to reduce piing system stresses and noises. 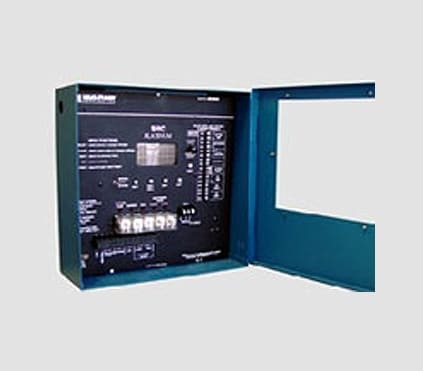 The ESV offers two modulating signals; voltage and 4-20mA current. 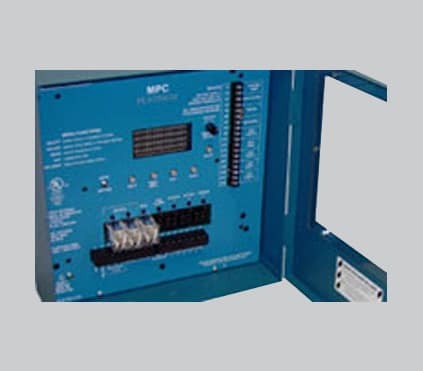 It can modulate either two voltage actuators or one voltage and one current actuators. Operates two steam, two vacuum, or two hot water actuators. Just select the proper Sensor Type. Modulates voltage (0-10V, 0-5V, 2-10V, 1-5V) or current (4-20mA) actuators. Optional Remote 4-20mA set point using 4-20mA EMS Inteface. Accepts external setback dry-contact signal. Valve Start Position adjustment and Delay and Valve Close Percent are individual valve settings that leaves the valve partially opened to reduce system piing stresses associated with steam and vacuum systems. ESV DOES NOT COME WITH SENSORS. SENSORS MUST BE ORDERED SEPARATELY. Download the ESV control in Google Sketchup 3D format by clicking here.